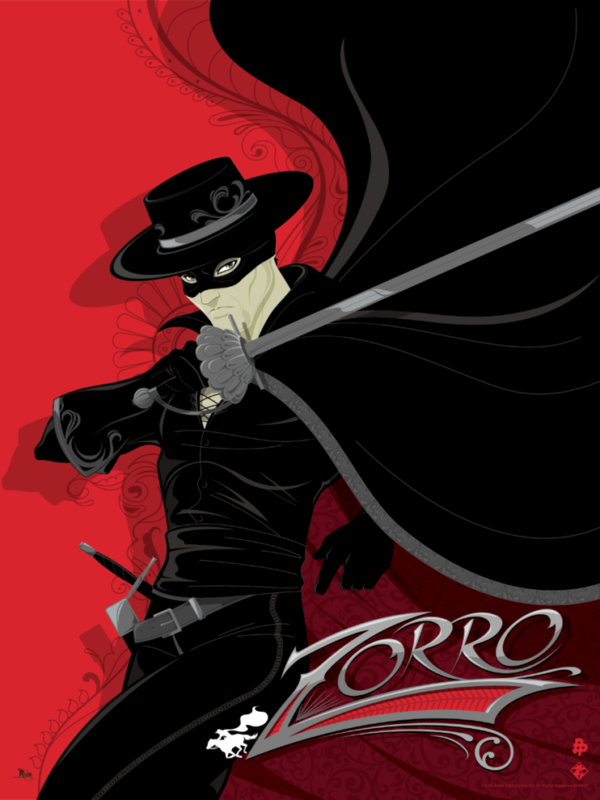 Since American pulp writer, Johnston McCulley first introduced him to the printed page back in 1919, Zorro (“The Fox“) has endured the test of time. The masked vigilante has been a hero for the down trodden, fighting against corruption and tyranny in books and on the silver screen for almost 100 years. 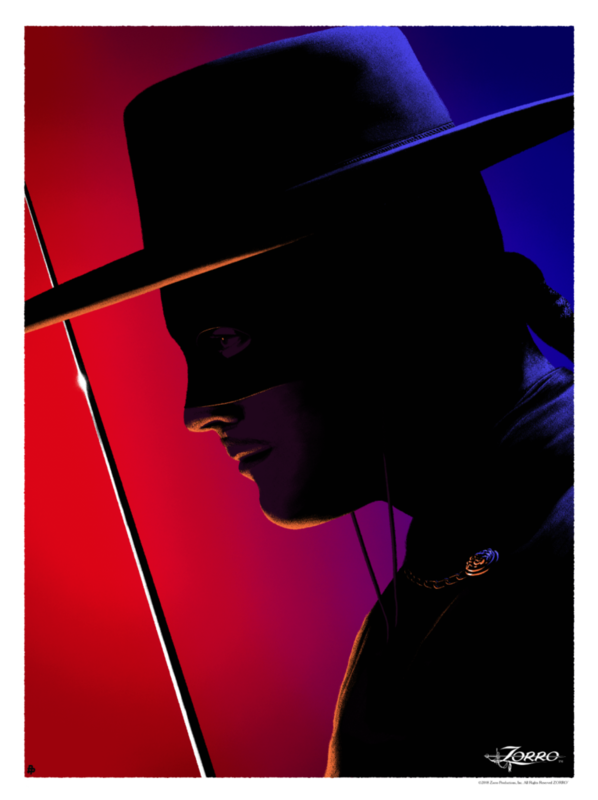 To celebrate this dynamic character and his rich history, we are launching a series of officially licensed Zorro prints. Today we are pleased to reveal two prints done by Poster Posse Pros Andrew Swainson and Mike Mahle. 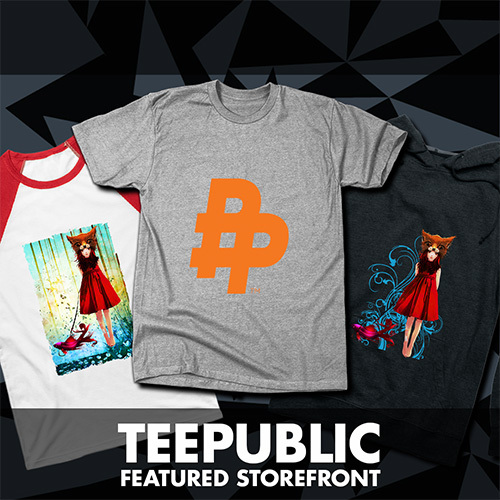 These prints are limited edition and available in our store now.